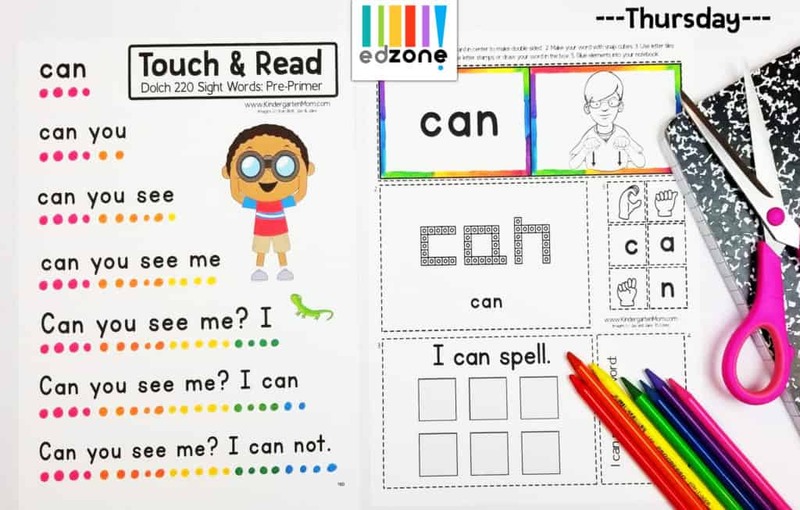 These readers print on a single sheet of paper and are just the right size for little hands. Store early readers in your Sight Word Notebook Pocket for easy review each week. While this curriculum has been developed to keep the prep-work and materials list to a minimum, the following items are suggested to get the most out of the program. ASL Chart: Start each week by learning the ASL for your sight word. Read and recognize the word in sentences. Make your work with letter magnets and practice the fingerspelling as shown on the chart. Hang this chart in the classroom for review each morning. Playdough Mat: Make your sight word with playdough. Show students how to roll out their dough and form it into letters. Students trace their word using proper letter formation, then write their word on the lines. Word Search: Students search for their word forwards, backwards, and diagonally. Next, students write their word and answer quick questions about what they found. 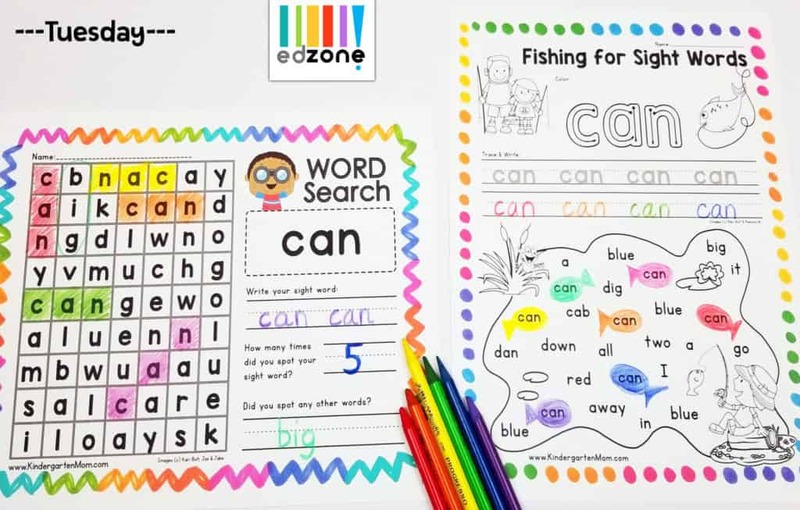 Fishing for Sight Words: Students practice tracing letter formation, then trace and write their word on the line. Students then fish for their word in the fish pond. Each time they find they word they draw a little fish around it (so the word is in the fish belly). 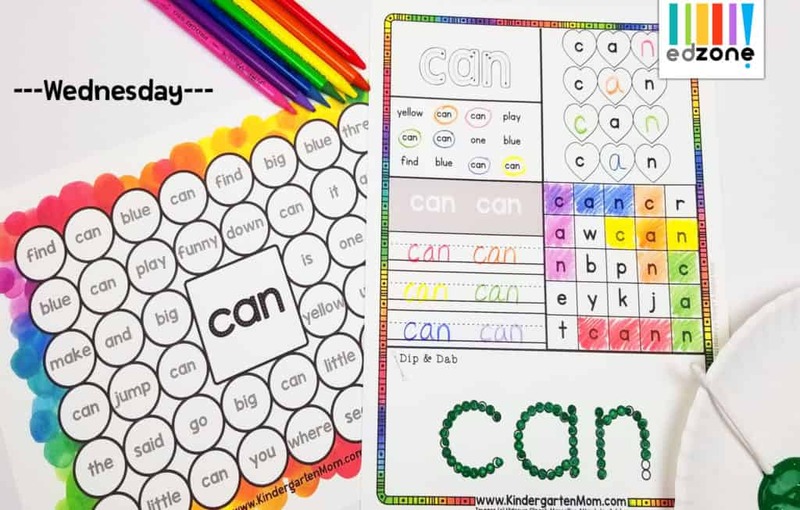 Sight Word Dab: This colorful page can be used in a variety of ways. Students can use bingo daubers to find and dab their sight word. Alternatively, students can color with crayons, use flat round marbles, coins, or even playdough to roll and smash their word. Sight Word Worksheet: Students trace, find, write, spell, search and dip and dab their sight word (with a Q-tip). Touch & Read: Students place their fingers on the dots as they read their sight word and slowly build into reading a sentence. Sight Word Notebook: These activities are intended to be stored in a small notebook. This page includes a flashcard for weekly review, sight word snap cube card to make, and ASL letter tiles to spell the sight word. At the end of each week, students put their new reading skills into practice with their own early reader. Each booklet takes a single sheet of paper and is folded to make a 4-page early reader. To assemble fold in half horizontally, then fold again in half vertically so that the title page is on the cover of the booklet. Students write their name on the cover page and color a star for each time they have read the book. For extra practice encourage students to underline or color their word as they find it in the story. Mystery Monster Review Pages: This curriculum includes 8 Mystery Monster Review Pages for use at weeks 5, 10, 15, 20, etc.... Each sheet includes 3-5 words for students to find and color on their chart. When complete they will reveal a mystery monster. These sheets are wonderful for providing students with a little extra practice. Sight Word Bingo: We've included two different Bingo Games to be played at Week 20, and Week 40. There are three different bingo boards for each set. Ask students to write their words from weeks 1-20 on a sheet of paper then cut apart to make calling cards. Sight Word Sticker Chart: Available in full color or black and white, this sticker chart is a great incentive to hang on your classroom wall. Students color in or place a sticker on each word they have mastered. 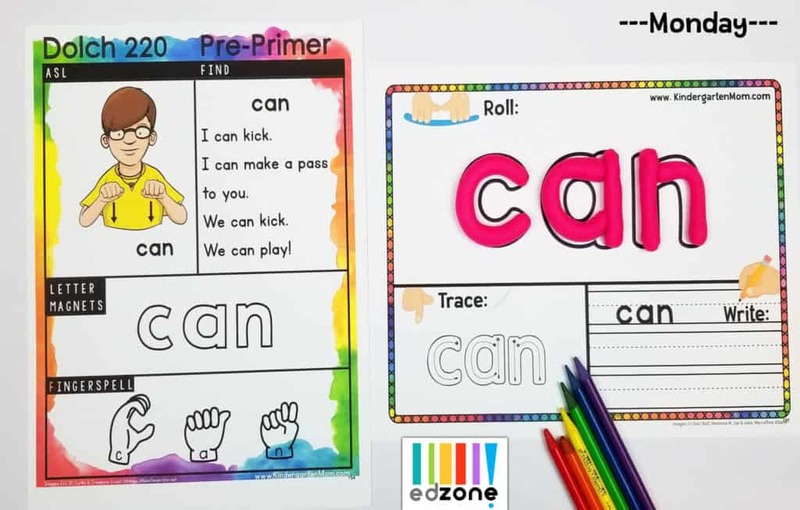 Sight Word Student Assessment Charts: This assessment chart is a quick way to gague where your student is at with their sight word memorization. Use stickers or write the date next to each word read. We recommend assessing students at regular intervals so you can adapt your studies as necessary. 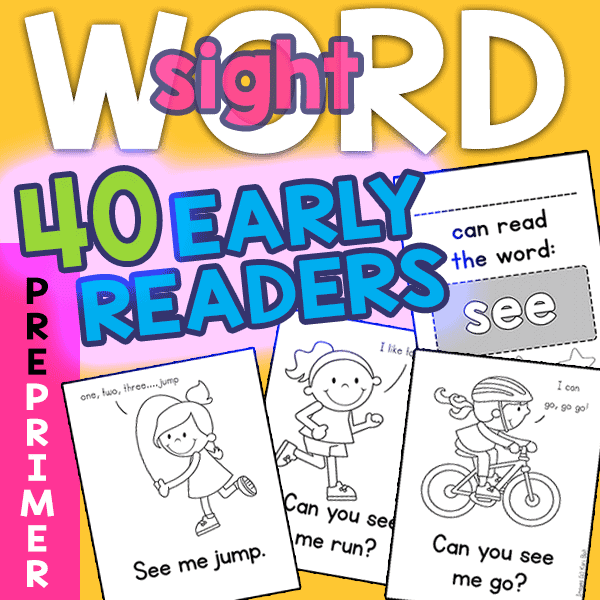 Students needing additional work can use their sight word notebook, word flashcards, and early readers for review. I love how many different activities come with this workbook! It's also very colorful which I think helps to keeps my son interested in it. I bought this for my pre-K child who desperately wants to do school like his older sibling who is working on READ 1st grade. I cannot tell you how amazed I was by his progress! The best part is you can tell the level of attention given to the abilities of the different levels. The sight word program offers so many was to work on the fine motor skills through cutting, pasting, building, etc. I highly recommend this program!